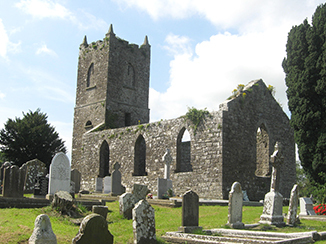 This is the cemetery for the community of Garristown in County Dublin. 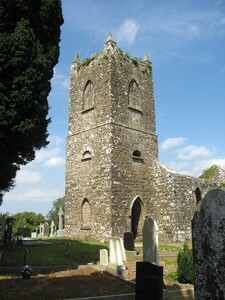 It is still in use and maintained by Fingal County Council. It was originally opened and maintained by the Catholic Church in the area and dates back to post-reformation time. 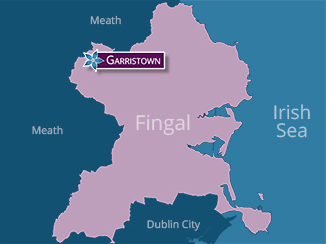 In the 1950s the care of the graveyard was transferred to the then Dublin County Council, since changed to Fingal County Council. To reach this cemetery take the N2 Road to May’s Cross and turn right on to the R122 and then the R130 to Garristown. Dr. Egan recorded the earliest headstone as dated 12th May 1637. “Pipe a song about a lamb!